Fat Burning Cardio Workout That You Can Do At Home Or In Your Office! Everybody have a right to live healthy. So, stop rushing around and eating junk food. If you don’t care for your body, you will become the worst enemy for your own health. Here is simple plan for you. Start eating health food and start doing some workouts at home or at work. Include different fruits and vegetables in your breakfast, lunch and dinner. Eat the fruits in the morning and vegetables in the evening. 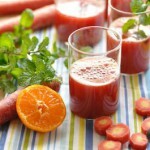 Drink a lot of water, tea or fruit and vegetables fresh homemade juices. This video will help you to organize yourself and it will be your personal trainer. So, it is so easy to be healthy. You only need 37 min. a day. These cardio exercises will help your hearth to work better and to be stronger. SHARE THIS WITH YOUR FAMILY, FRIEND AND PEOPLE YOU LIKE!